When Tony Benn left Parliament after 51 years he quoted his wife Caroline's remark that now he would have 'more time for politics'. And so this has proved. In the first seven years of this century he has helped reinvigorate national debate through public meetings, mass campaigns and appearances in the media, passionately bringing moral and political issues to wide audiences. And throughout, as ever, he has been keeping his diaries.Commenting on the demise of the New Labour project from the re-election of Tony Blair in 2001 to the ultimate foreign policy disasters of Afghanistan and Iraq, he gives other prescient accounts of the government's by-passing of Cabinet, parliament and the party, of the 'war on terror', the debate about Islam, globalisation and the changes in British society. 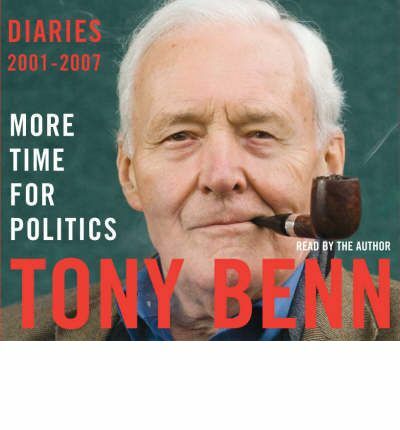 Although he is no longer in power or in parliament, Tony Benn remains a figure of enormous respect whose direct views, honestly expressed, have often awakened the national conscience. His latest "Diaries", human and challenging in turn, are enthralling.